One common thought process of any automotive enthusiast is to envision taking the powertrain from a high-performance machine and placing it into something totally different. Someone at Nissan has been dreaming of a swap along these lines, and it's even weirder than you would've guessed. 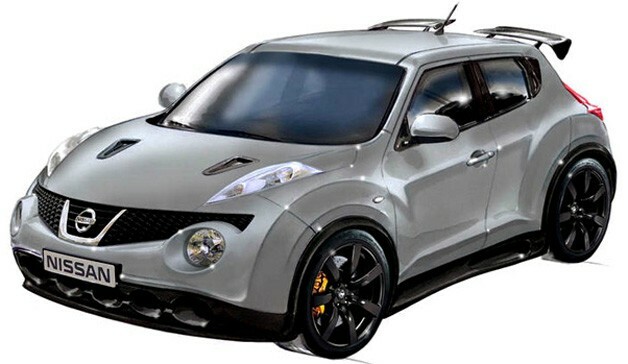 The Japanese automaker is prepping a Super Juke that utilizes the twin-turbocharged 3.8-liter mill swiped from a Nissan GT-R. Details are still very sketchy at this point, and the above image is reportedly an official sketch of what could be in store. Still, we can't hide the excitement felt at what appears to be a Forza dream machine come to life. Even if it turns out to be a concept, we're happy that Nissan engineers and designers are thinking about putting the GT-R heart into more bodies.